Described as an “African imbued jazz percussion ensemble.” and ‘a fascinating assemblage of instrumentalists and vocalists from diverse ethnic and musical backgrounds.’ This all-star quintet celebrates the link from African and Native American chamber music (on traditional instruments), to its grandchildren – the jazz and popular dance music of the Americas. 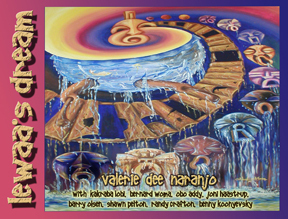 entire series oft ranscriptions to date. 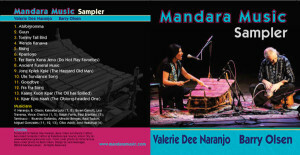 An innovative new recording by Valerie Naranjo featuring traditional Native American songs and instruments. 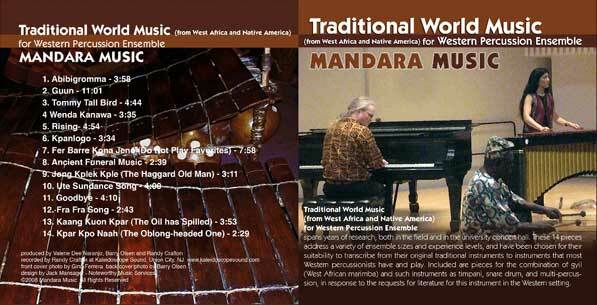 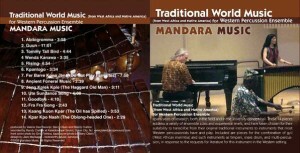 A new CD by one of the most innovative percussion trios in music today, this recording captures the essence of the Gyil and other traditional West African percussion instruments. 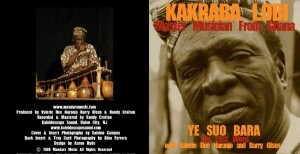 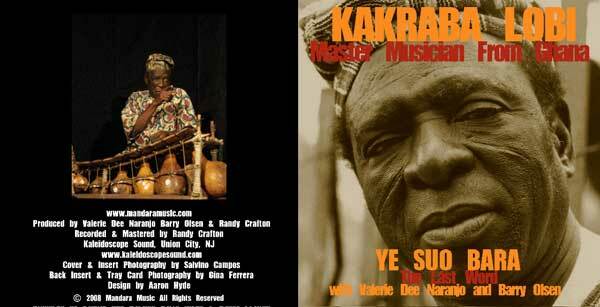 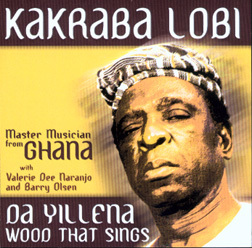 Hear the mastery of Kakraba Lobi in performance with Valerie Naranjo and Barry Olsen.